Nathalie Renaudin is the President of the Social Vouchers International Association (SVIA). She spoke with EURACTIV’s Benjamin Fox. The first social vouchers were launched 50 years ago with the birth of the meal voucher. Based on this model and because of its positive externalities, other social vouchers have been developed by national or local public authorities to help to reach social objectives such as access to holidays, sport and culture or personal and household services. Thanks to such systems, companies can provide their employees with social vouchers to ease their access to specific goods and services (defined by public authorities) with the aim to improve their working conditions, work-life balance, and quality of life. And public authorities can distribute welfare to their citizens through social vouchers as an alternative to allowances in cash or in kind. Social vouchers are currently used in 19 EU member states and by more than 100 million people every day. On the basis of a benchmark of existing definitions from International organisations, European Institutions and various renowned stakeholders, a consensual definition of social vouchers can be found on the 3kiii article of the EU directive 2015/2366. Social vouchers are “instruments valid only in a single State provided at the request of an undertaking or a public sector entity and regulated by a national or regional public authority for speciﬁc social or tax purposes to acquire speciﬁc goods or services from suppliers having a commercial agreement with the issuer”. As from 2017, the Social Vouchers International Association, SVIA, represents the social vouchers’ industry at European and international levels. SVIA gathers companies whose main activity consists in implementing social vouchers solutions at global scale as well as national social vouchers associations at local level. What advantages do social voucher solutions bring in social welfare schemes to both users and governments? The use of social vouchers represents an added value in the economic and social environments where they are deployed. They are governed by specific regulatory frameworks that ensure that the funds are used effectively for the purpose for which they are intended. In that way, they reflect social policy and ensure good management and proper assignment of tax incentives for social purposes. The very nature of the instrument ensures the proper use of the allocated funds. More particularly, social vouchers represent for their users a social advantage that increases their purchasing power and attributes targeted benefits. While encouraging specific consumption, they galvanise a specific economic sector, and are therefore a means to address health and sanitary problems for public authorities. Thanks to this role, and to their nature and characteristics, social vouchers constitute modern and efficient tools at the service of governments to directly stimulate local economies while enhancing macro-economic impacts such as job creation and the fight against undeclared work. Detailed studies have been released on such outcomes highlighting the reliability of social vouchers. How can social vouchers boost job creation? Social vouchers are the result of national policy decisions by member states intended to implement a specific and prioritised social policy. They encourage targeted consumption, and as a consequence, they boost a specific economic sector. For instance, meal and food vouchers boost local economies: their immediate or limited-in-time use supports direct consumption versus savings, and more especially the affected use in a limited network supports targeted consumption and the creation of local jobs. Furthermore, social vouchers systems are efficient mechanisms in favour of financial stability and have positive impacts on public finances. An important earn-back effect of such systems is job creation, as social vouchers provide solvency or increase demand in specific sectors. In France, 164,000 jobs are supported by the meal vouchers mechanism; and 104,400 in Romania. On average, for each country where such systems are deployed, studies have assessed that one job is created for 30 users of meal vouchers. Where the level of undeclared work is really significant, such numbers are even higher, notably for domestic work: studies have underlined the creation of 450,000 jobs in France between 2005 and 2010 with the introduction of the CESU system and 150,000 jobs in Belgium between 2003 and 2013 with the titre service. How can social voucher solutions contribute to tackling undeclared work? Social vouchers systems provide public authorities with a solution to increase the transparency in specific sectors of the economy (i.e. better track of business activities and usages) without adding administrative burden. With invoices being sent out by the social voucher issuer, on the one hand, and the services providers on the other hand, governments can follow the transactions more clearly. Using social vouchers guarantees to public authorities the destination of the allocated funds and that their investment has the expected impact on beneficiary behaviour. Social vouchers therefore constitute efficient tools to fight the black economy and to boost national consumption in a specific economical sector. In that perspective, the European Economic and Social Committee (EESC) recommended in an opinion of 2014 the use of social vouchers “to involve citizens in combating the black economy, tax evasion and tax fraud”. The EESC also underlined that social vouchers practices should be strengthened as they “combine the objectives of promoting social welfare and bringing the black economy into the open”. It is notably the case within the restaurant/catering sector through the use of meal vouchers as they cannot be used in the black economy. Furthermore, even if “It is easier for undeclared work to flourish in high labour-intensive sectors, meal vouchers can be used to fight this at 2 levels: First, it makes consumer spending more transparent since the party who accepts a voucher must have it reimbursed. When doing so, he must also report the economic transactions, which followed this purchase. 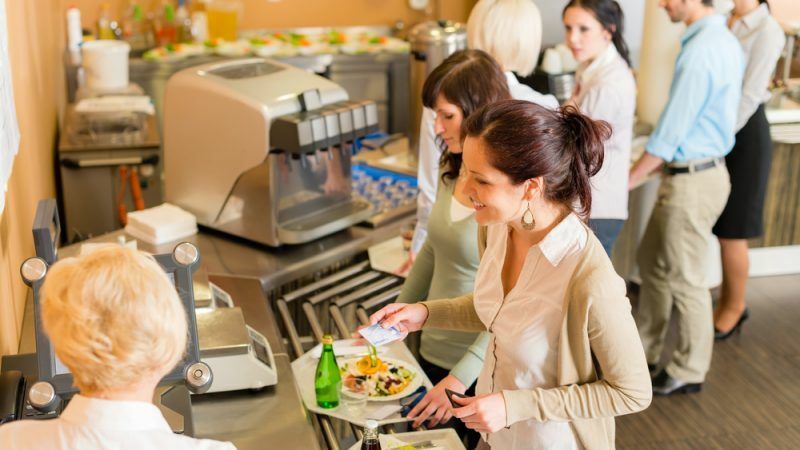 Moreover, meal vouchers result in a reduction of the actual price of the commodity purchased by the employee. The resulting increased demand makes illegal activity less profitable”. The European Platform for Undeclared work has recently published a report on vouchers. What do you make of its take on social voucher solutions? The report of the European Platform for Undeclared work considers only social voucher solutions implemented in the field of personal and household services, i.e. service vouchers. It identifies them as tools to adopt a preventative approach towards undeclared work. It presents some specific practices developed in member states to tackle undeclared work (for instance the CESU programme in France or the titre services in Belgium). The report encourages member states to conduct pilot initiatives using some variant of service voucher programmes and evaluate their effectiveness at tackling undeclared work. The report also identifies budget constraints as a possible key obstacle for member states to adopt service vouchers solutions. However, it considers that “there is perhaps a need to see them as an investment by the state. The ‘return on investment’ is that voucher schemes transform undeclared work into declared work/higher levels of declared work and increase tax and social contribution levels.” It also set up some recommendations to implement successful voucher solutions for domestic services. Is there sufficient awareness among EU policy-makers, particularly in the European Commission, of the role of social vouchers? However, most of the time the same examples are introduced as best practices. As a matter of fact, it can be difficult to apprehend social vouchers systems in various countries as each system is based on a national legal framework having its own local specificities. Through SVIA, as a spokesperson for the industry, we would like to provide policy-makers with more information on the definition, the role and impacts of social vouchers on the European economy with the support of benchmarks and studies on existing social vouchers systems. SVIA is newly created but has already gathered a high number of documents and is currently working with renowned international organisations to develop new material. Spreading information about social vouchers as wide as possible will certainly be SVIA’s first priority and challenge in the forthcoming months!